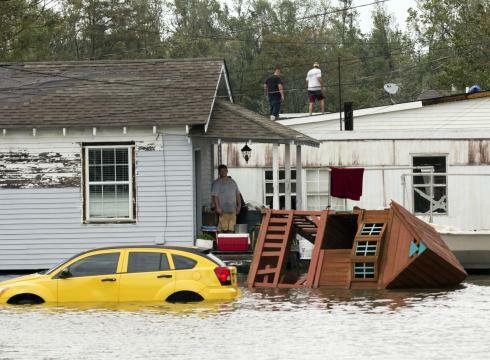 A Few Good Reads (9/10/12): Remnants of Isaac, Who Gets to Live Behind Levees? This week: Keeping Tahoe blue, remnants of Isaac causing more flooding, who gets to live behind the levees in Louisiana, the CVFPP awarded top honors, working from home as a civil engineer, and part 4 in the series on value pricing from POB. Isaac just won’t go away. Remnants of what was once Hurricane Isaac dumped between four to six-and-a-half inches of rain across Jackson County overnight. Neighbors woke up Thursday morning to flooded roads and yards that are already saturated with water. The drowning of Braithwaite has reignited questions about who gets to be inside the massive, 200-mile perimeter of federally built levees and floodgates circling the greater New Orleans area and who’s left outside and exposed to powerful storms. A couple of weeks ago a consulting civil engineering client of mine offered an opportunity to an extremely talented candidate that would have allowed him to work from home for his first 6-8 months in order to accommodate some special circumstances. It goes without saying that the optimal price is never below your cost to serve the client. Fortunately, the time surveyors spent in the past tracking costs (and then mistakenly using those costs to determine the price) has not been wasted. By switching to value pricing, you are merely breaking the connection between cost and price. Written by: Anthony Alvarado on September 10, 2012.on December 20, 2012. I am a PE and have a BS in civil engineering from Colorado State University and have been with Ayres Associates since 2000, specializing in water related GIS applications, hydrographic survey, geomorphology & field investigations, levees & bank protection, sediment transport, and hydraulic modeling. I have been working on river related projects since 1994. From rafting and kayaking during the summer while attending Colorado State University, starting in 1998 at Ayres Associates measuring, studying, learning, and communicating information about rivers and how they interact with the world.